Providing you the best range of polyformaldehyde plastic, plastic bucket elevator, polyethylene sheets, ptfe components and cast nylon rod with effective & timely delivery. We also produce polyacetal or polyformaldehyde that are tested for their durability, wear and tear, have good mechanical properties and chemical resistance. 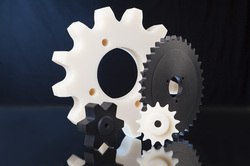 Our polyacetal in varied shapes and sizes are ideal to manufacture varied components. We are the leading supplier of Plastic Bucket Elevator made available to our clients at competitive prices. 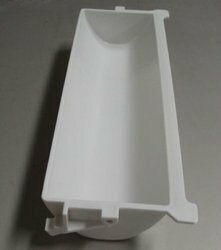 Ultra high molecular weight polyethylene (UHMWPE) is considered to be the toughest and the densest thermoplastic available. We manufacture UHMWPE which is highly preferred because of their light weight, wear and abrasion resistance, chemical and corrosion resistance, self lubricant and easily machinable properties. System Plaast has made a substantial contribution in developing PTFE components which find extensive use in various types of industries. Our PTFE processing facilities are at par with the best available in the international market for mechanical, chemical and other applications. 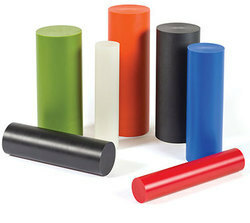 We are a premier producer of Cast Nylon Rod. The company's product offerings include cast nylon rods, sheets, rectangular and tubular bars, sheaves which are further used to make engineering components. Our Cast Nylon Rod, available in different shapes and sizes, has many successful applications in various industries. Looking for Engineering Plastics ?